No one underestimates the value of bringing in new customers for their business. It’s easy to know that attracting new clients is essential to the growth of your business and income. It’s easier to know that you need to generate leads, however, than it sometimes is to actually find them—especially for B2B businesses. That being said, putting the right systems in place and with a little momentum, you’ll be able to attract more leads on a regular basis and without breaking the bank. 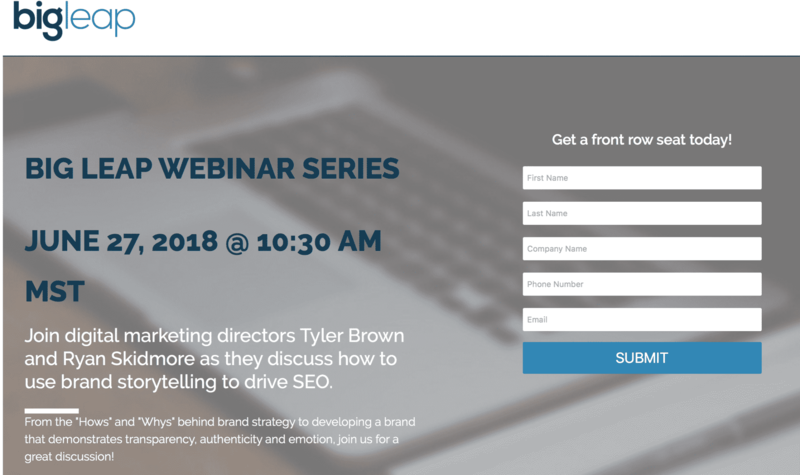 We’re going to look at close look at 5 different tactics to help you generate more B2B leads and how to execute them well. There’s a reason that the most prominent B2B businesses almost all have regularly-updated blogs: education is an important part of B2B marketing. Content marketing can include setting up blog and video content on your site, or writing guest posts for other sites. Content marketing gives you the chance to demonstrate your expertise while building relationships with potential customers at the same time. Being able to answer user questions or share new insights with them will build trust, and they’ll see you as more credible as a result. There’s also the big SEO boost that comes alongside having a lot of content optimizing for different keywords, which can help attract new users to your site while your content nurtures them into leads. And since evergreen content can be relevant for years, this is a huge advantage. For best results, you can subtly mention your product in some of your posts, slowly introducing customers to your products and services without making your content feeling like overwhelming sales pitches. 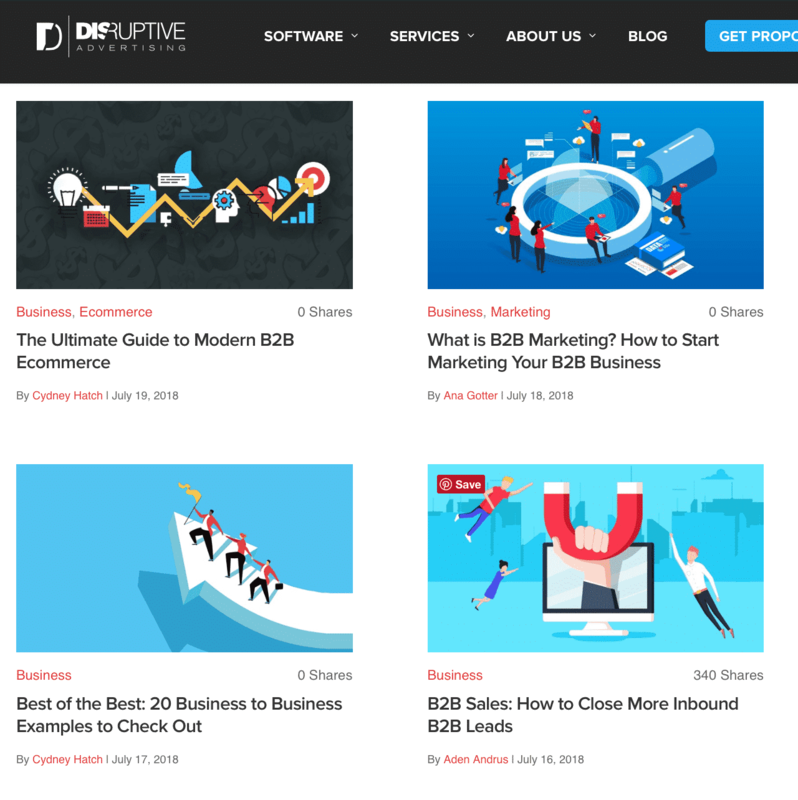 You can learn more about B2B content marketing here. 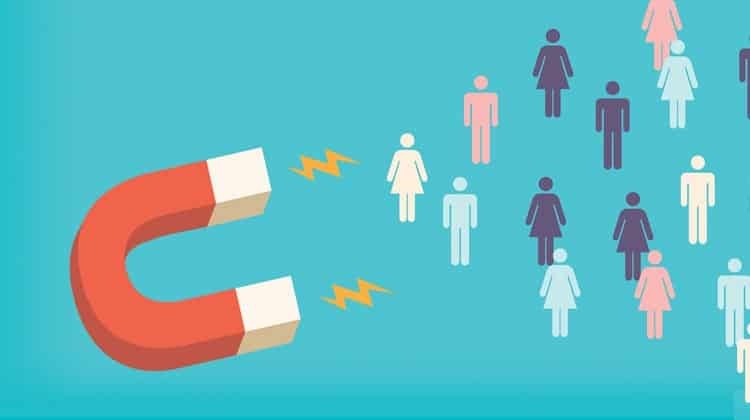 Lead magnets work by offering a free resource in exchange for a user’s contact information, like their email address, name and possibly phone number. These resources are often something like eBooks, a checklist, webinars, white papers, or a training course of some sort. They’re inherently valuable to your target audience and since they come at a very low cost, even users who don’t know you well won’t hesitate to download them. You can promote your lead magnets in blog posts, in widgets in the sidebars of your site, and even in ad campaigns. This gives you two advantages: the users now have a bit more of a relationship with your business after consuming the free content, and you now have their email addresses. Follow up with email campaigns designed to nurture leads into customers. This will often start with a welcome series autoresponder and then a series offering valuable content like a newsletter. Finally, you’ll be able to send an offer like a free trial or a discount code that could entice them to convert. Referral programs are a great way to get new leads and new customers. Potential leads will always trust peers and friends more than they’ll trust what a business has to say about itself and a personal recommendation from someone you know will be well trusted. Referral programs often include an incentive for your customers to refer peers to you, like a discount code, free month of service, or a credit that can be redeemed at a later date. They also may include an incentive for users to sign up, too, like an equal discount, credit, or free trial. 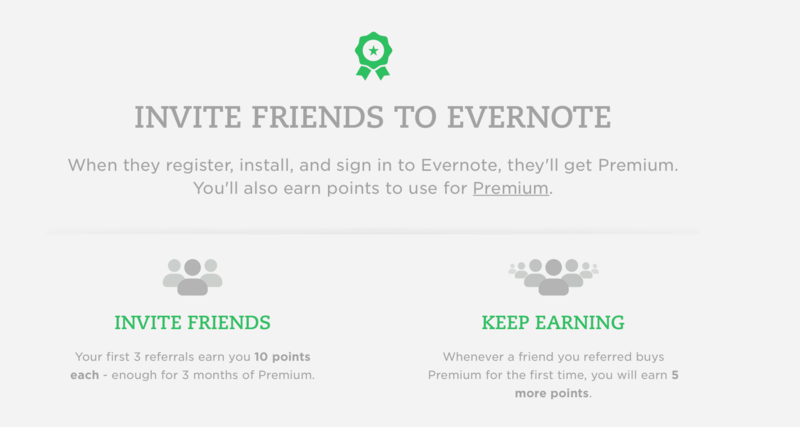 Some brands, like Evernote, use a points-based system to calculate benefits received. Affiliate programs work similarly to referral programs (and there may be some overlap), but they often involve individuals that are prominent in specific industries promoting your products for you. These individuals could be influencers like business leaders, agencies, or even bloggers with large readerships. 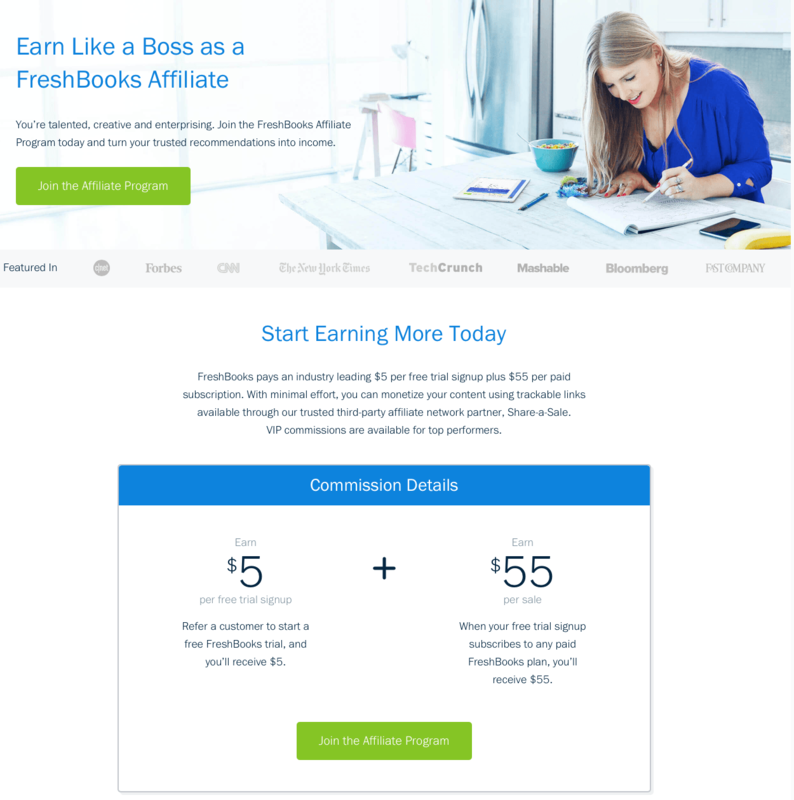 Affiliate programs will pay commissions to affiliates when someone clicks on their link or uses their referral code and then purchases your products or services. This benefits everyone involved—you get new clients or leads, the affiliate earns a small financial incentive which can become passive income and users get to discover new brands that can meet their needs. Google AdWords is an excellent way to connect with new and relevant leads, because the platform will show your ad to people searching for what you’re advertising (and thus selling). Being able to capture someone looking for “graphic design agency” when you’re exactly that is hugely valuable, because they’re actively researching and closing to buying. 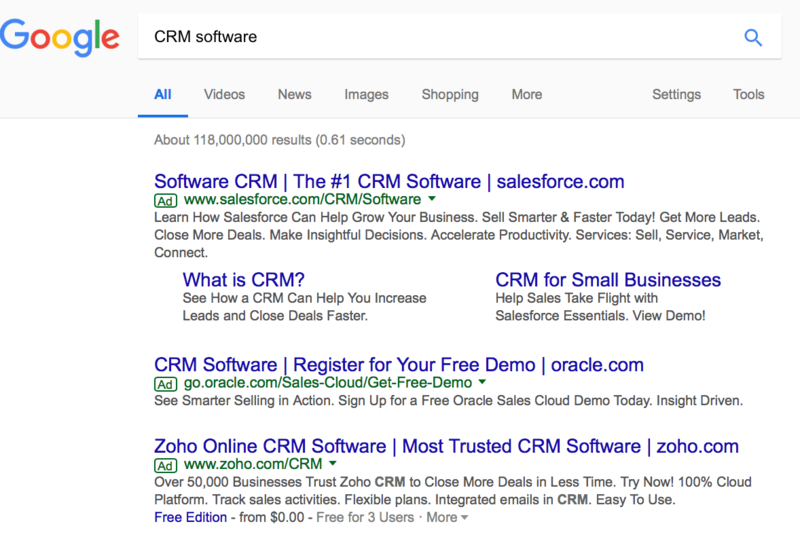 To make things even better, AdWords gives you a chance to have your search result show up above some of the bigger names out there, which you may not have much of a chance of competing against organically in the search engines. Though the platform does come with a financial investment, that’s a huge advantage. AdWords relies heavily on keyword targeting to ensure that your ads are shown to a relevant audience, so choose your phrases carefully. You can learn more about how to run AdWords campaigns here. If you find one strategy that’s working for you, great! It’s still not time to settle. Test out different strategies, because using multiple strategies gives you more funnels and touch-points. And, if something changes with Google’s algorithm or the effectiveness of a platform, you won’t be scrambling at the last minute. The B2B buying process takes much longer than the B2C process does. Because of this, will be your best friend if you want your lead generation tactics to be effective. Funnels slowly work to build a relationship instead of immediately demanding a conversion. It’s important to invest into lead generation, but never focus so much on adding new clients to your list that you risk losing the ones already there. If your list is aggressively growing with new names but you’re just replacing fleeing customers, you need to look at why. The exception here is the few industries that typically have one-and-done services, like a commercial real estate agent or a website developer. Use Google Analytics to see which tactics are sending the most traffic to your site and which are actually nurturing them through to signing up for your lead magnet, converting, or subscribing to your newsletter. You can learn more about Google Analytics here. B2B lead generation is essential if you want to grow your business. It can help you overcome the natural churn rates that happen for every business. Fortunately, there are a number of different lead generation strategies that you can use to accomplish this goal and adjust them according to your audience and business. Interested in using PPC campaigns to generate more leads but not sure where to start? Get in touch with us and see how we can help you. What do you think? Which B2B lead generation strategies do you use for your business? What strategies have been most effective for you? Share your thoughts and questions in the comments below.